If you want to get the low-down on PokéStops and Gyms on campus, click past to find out more! Bellevue University Bell Tower (next to the Bellevue University Library). George & Marjorie Russell Bridge (the bridge leading to the student center). The Bubble Wall (inside the student center, but can be accessed from outside). Dan Wheeler Memorial Pond (in front of the Educational Services Building). Hollis and Helen Baright Bookstore (next to the Administration Services Building on top of the hill). Win Doe to the World (inside the Educational Services Building). The Bellevue University Logo (on the hill next to the Administration Services Building). Twin Valley Church (while not technically on campus, it is right next to the Student Center). The Bellevue University Waterfall (inside the beautiful Educational Services Building). Bellevue University Art ( located next to the Hitchcock Humanities Center, facing the parking lot). Bellevue University (this is a sign at the corner of Lloyd St. and Betz Rd, which becomes the road leading up the hill from campus). 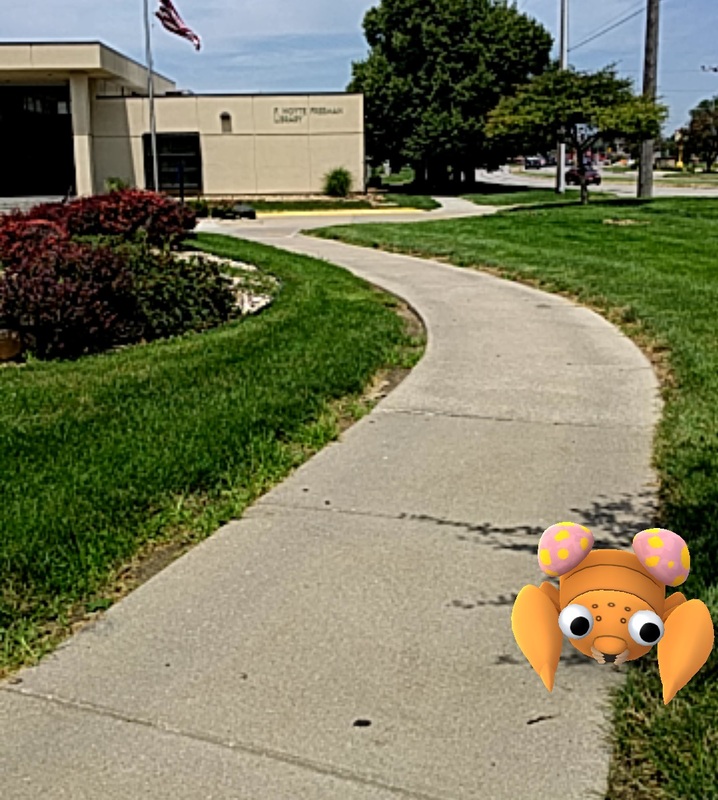 So stop by, grab some Pokéballs from the library, and keep on trying to catch ‘em all! Is this still allowed? Security has shown up several times and said the University is closed and we need to leave. I’m not a student or future student, however my oldest was prior to deciding to join the Armed Forces and my youngest is still considering what college he may want to attend. If we need to put Bellevue University on our do not visit list we can.